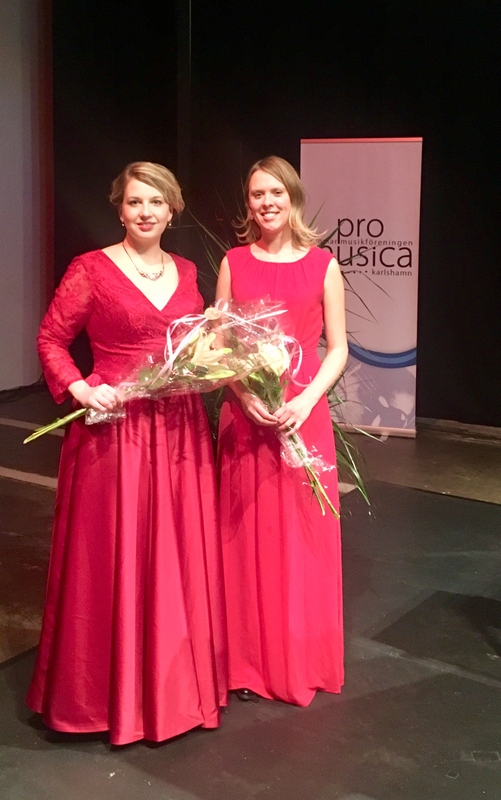 Sunday the 11th of November we performed our full lenght recital “Finland och Norden” for the first time, in Kammarmusikföreningen Pro Musica in Karlshamn. It was a special event since it was the day of the 100 year anniversary of the end of the First World War, and the second half of the concert is music all composed around the year of 1918. Even if the war did not take place in the Nordic countries you can still feel the tension that was in the air during that time. 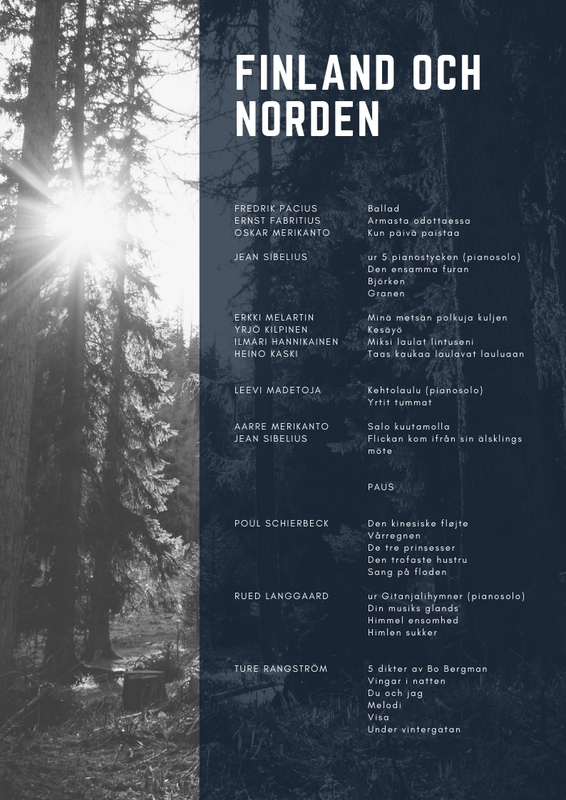 Especially the 5 last songs by Ture Rangström on poems by Bo Bergman always go straight into your heart. It was a very atmospheric and special experience for both of us.